Kabras RFC players and head Coach Du Plessis in a past match. Photo Courtesy/ Dennis Acre-half. Three converted tries in the opening half were enough for Kabras to earn a 21-11 win over Nondies which sent the Kakamega based side to the Semis of the Enterprise Cup. The early exchanges of the game saw Charlton Mokua cross the try line for Kabras opener, Philip Wokorach added two points from a conversion. Nondies on the other end converted two penalties through former Kabras man Martin Juma for a reachable gap between them and their hosts. South African import Mario Wilson would then dance past his markers before releasing Nick Baraza for the second try for the Sugarmen. Wokorach hit the target from the tee for 14 points for Kabras. Nondies would again trim the gap after scoring from a maul through another former Kabras player Fidel Oloo for a 14-11 gap. Kabras responded immediately at the restart through Brian Tonya. Wokorach who was having a good day on the boot hit the target for a 21-11 lead. The final half had nothing to offer and no side could breach the opponents’ defence. 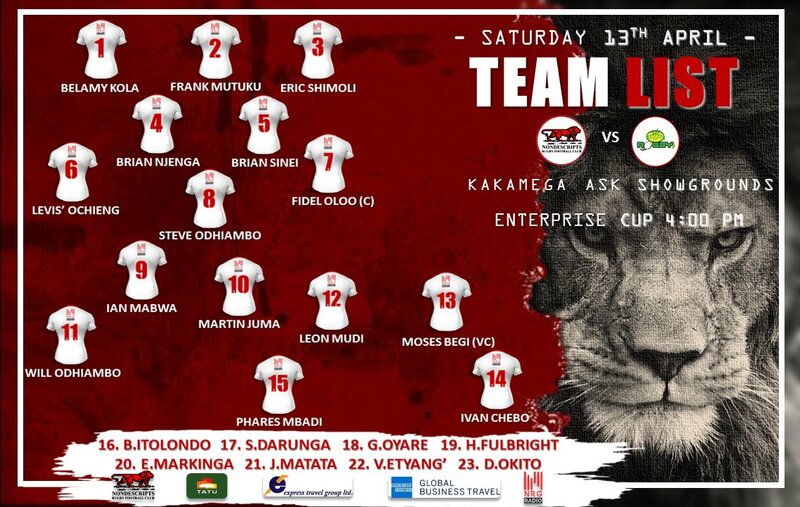 Kabras will face the winner of Quins Blad match.